In this activity children determine right and wrong choices in various situations and participate in the activity using their sense of taste. 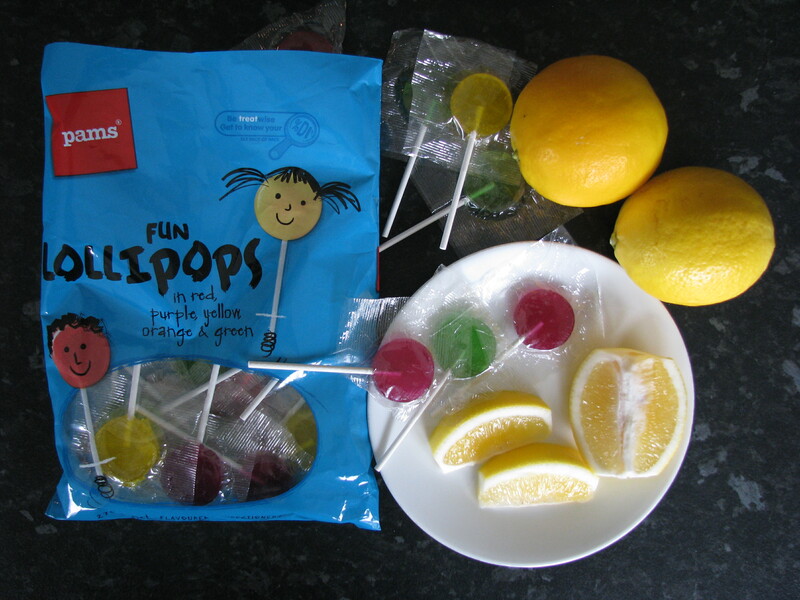 Give each child one lollipop and one lemon slice. Describe situations that relate to the children. If the person in the situation makes a bad choice then the children lick the lemon. If the person in the situation makes a good choice then the children lick the lollipop. Chanelle and Niki were expecting to take a test in science class on Monday afternoon. On Monday morning Niki accidentally saw the answer sheet on the teacher’s desk. Niki told Chanelle and said that they could do really well on the test now. Chanelle knew this would be cheating. She told Niki that she would not cheat. She said, “Come on, Niki, let’s go tell the teacher that you accidentally saw the paper. The girls told the teacher and she said she was proud of them for telling the truth. The teacher made a new test. You can adapt this activity to any teaching situation such as true or false review statements. You say a statement relating to whatever you are teaching. If the statement is true then the children lick the lollipop. If your statement is false then they lick the lemon. Substitute any other sour or sweet items for this activity if you wish. For instance, you could use salt and sugar.